Kent based Industrial Designer, Russ Carley, recently showed his concept design for a disaster relief shelter, Bodopods, at the Makegood festival of culture, creativity & entrepreneurship as part of his School for Creative Startups course. That S4CS event was filled with all sorts of interesting people doing all sorts of interesting things – people like Natalia Komis who recently did a self interview on Startacus about her fab ventures iamsociable and iamadventures. Anyhow…having been lucky enough to attend the S4CS event ourselves and seeing all those inspirational folk, we got chatting to Russ and asked him to give us the lowdown on his innovative concept. So Russ, what are bodopods? People who are displaced by either natural disasters or conflict. In 2012, an estimated 32.4 million people in 82 countries were newly displaced by disasters and a record 33.3 million people are currently displaced by war worldwide forcing them into emergency disaster relief shelters. A large number of these people end up living in tents. Global Overview 2014 by NRC and IDMC estimates that the average amount of time people worldwide are living in displacement is now a staggering 17 years. Why bodopods and not a tent? 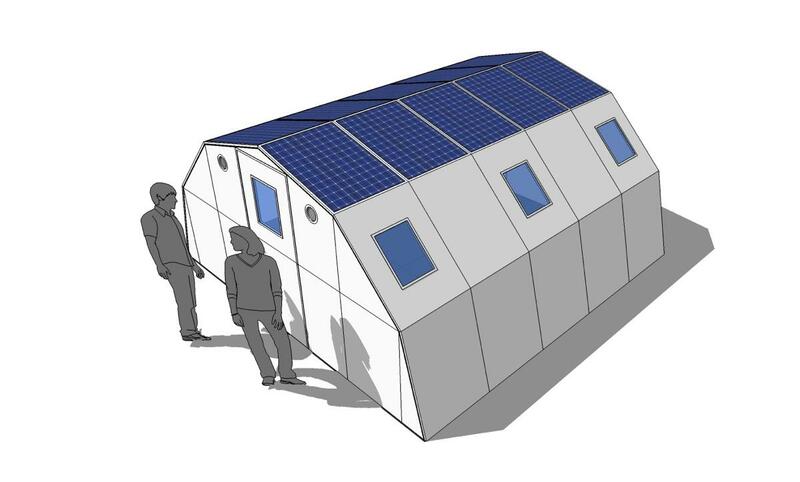 The tent is still the first choice for emergency relief in disaster situations despite a usage life of one year before they start to become less effective in providing shelter. They offer little protection against harsh weather and temperature extremes, no security and lack basic privacy needs. We live in the 21st century with some fabulous new materials yet we still see fit to supply a tent to victims of natural disasters and conflict. This has to change, which is why I’ve designed a rapidly foldout, lightweight shelter that can house a family of 5 with adequate space, thermal and acoustic comfort and a far greater level of privacy and security. Bodopods offer the same non-permanency as a tent but are designed to last from the emergency phase through to the transitional shelter phase. When no longer required as a shelter, they can be dismantled and the materials used in the reconstruction of the original dwelling. This means less trips to supply replacement tents, building materials for transitional shelters and materials for the rebuilding of the original dwelling. What response have you had during and following Makegood? The response from people visiting my stand at Makegood was amazing. People really engaged with what I’m trying to achieve and I’ve had plenty of follow up e-mails to write. I’ve had some great testimonials, tweets, a radio interview that went out on Monocle’s radio station, a mention in a review of Makegood and a post on my website. ‘The design solution is ingenious: the folding mechanism allows the lightweight panels to be folded down to the size of a standard pallet allowing them to be easily transported to disaster zones or anywhere in the world.’ says William Knight, Director of 100% Design and Clerkenwell Design Week. To spread the message about bodopods and be seen by as many people as possible and then hopefully get the attention of the UNHCR and IFRC and other key NGO’s. I’ve been approached about using bodopods in different markets, which is also very exciting and is something I’m currently pursuing. 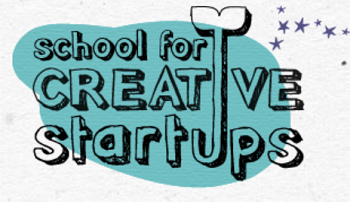 School for Startups also offer seed funding in the form of Government backedStart Up Loans with a year of free round-the-clock support and mentoring in a community of other budding entrepreneurs. If you go on to apply for the Government backed Start Up Loans do tell School for Startups where you heard about them (aka Startacus) – every little help in spreading the word of Startacus helps too you know!